Remember the days (about six months ago) when bitcoin was going to revolutionize banking and disintermediate the mean nasty “banksters?” Well, a funny thing happened on the way to the revolution. Bitcoin itself has hit an air pocket with a 50% price drop last week. Meanwhile the banks are taking over the blockchain as this article reveals. This is not surprising. Disruptive technology does come along from time to time, but established franchises have a way of either fighting back or co-opting the new technology just by buying it. Uber is disruptive, but London taxi drivers (the best in the world, by the way) have organized to get Uber’s license there revoked. In the same spirit, it was naïve to expect that banks would just sit there and let blockchain technology eat their lunch. All of the major banks have blockchain research and development projects underway. Japan is the first major economy to declare bitcoin “legal tender” in payment for goods and services. This does not fix a value for bitcoin, and it does not force anyone to use bitcoin, it just keeps bitcoin transactions safe from counterfeiting charges. The Japanese banks are taking that opening and driving an armored car through it. 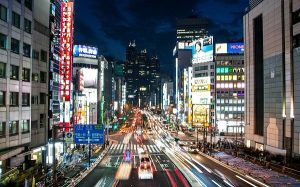 This article reports that Japan’s largest bank is creating its own crypto-currency. Valuation won’t be an issue because each coin will be worth exactly one yen. It’s really just an alternative payment system like PayPal. What it does is allow bank customers to make and receive payments on the blockchain with a yen equivalent, but with much lower costs. Also, because this is a “permissioned” system (customers only may participate with bank approval) verification does not require the clunky proof-of-work of the original bitcoin blockchain. Distributed ledgers and blockchain are here to stay, but bitcoin is not. The banks will see to that.